A couple of years ago I did a shoot that a lot of fun. Scrolling through my old pictures, I found the shots from that day and I want to share with you some of the images. The accessories used at the shoot were stunning and I am going to give you a couple of ideas if you want to recreate the looks. 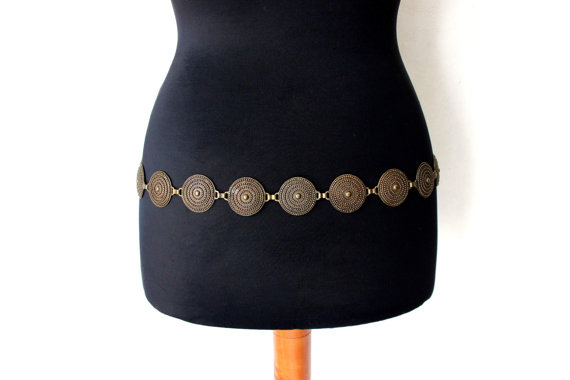 Although slightly different, this belt is close to the one above and it looks like a great accessory choice for a dress or a skirt look. And for only $15, it’s a steal! I really like the detail on this one. It’s also a great by for $20. I couldn’t get a picture of this one unfortunately but you can check it out here. It is also a reasonable priced belt with a lot of details in the front. It’s $25 and they offer free shipping if you spend $30+. Now, if you you still don’t know etsy.com, you are seriously missing out on some unique, vintage and handmade stuff!. I love that website. It is a bit more expensive than on other online stores but that’s because almost all of the products are hand-or-custom made. You also have to buy things you like when you see them because a lot of items are unique and the seller only has 1 of it. Sometimes I spend hours browsing through those pages.